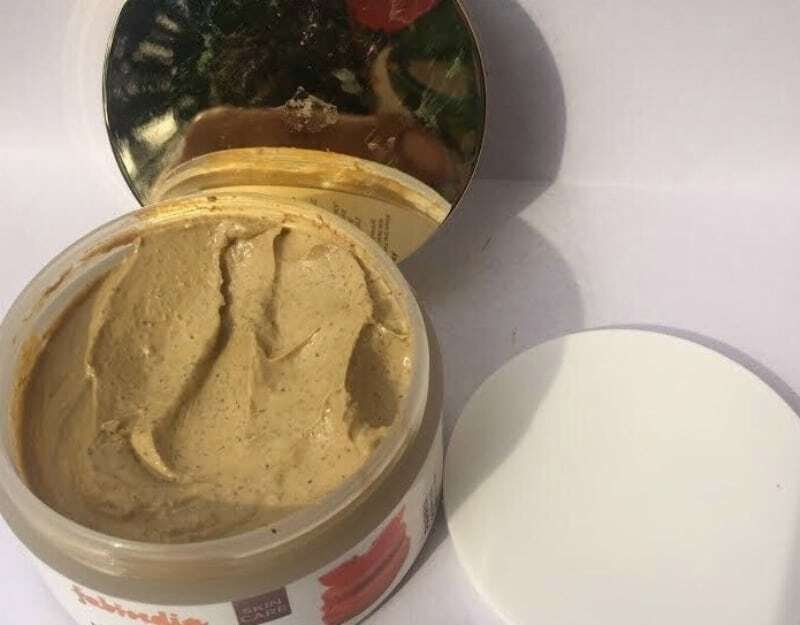 FabIndia Papaya Face Scrub: This face scrub contains papaya extract and maize flour. It claims to remove dead skin cells and open the pores, leaving your skin soft and glowing. Packaging: It comes in a plastic tub packaging. Fab India has tried to improve its packaging by adding a metallic lid to the tub. The packaging has all the information about the ingredients and directions to use on it. The container is handy and easy to use. Application instructions: Moisten face and neck. Apply with fingertips and massage gently. Avoid the eye area. Rinse well and pat dry. Colour, texture, and fragrance: The first thing you notice when you open the pack is that the scrub is not orange in color as you would expect a papaya-based product to be. 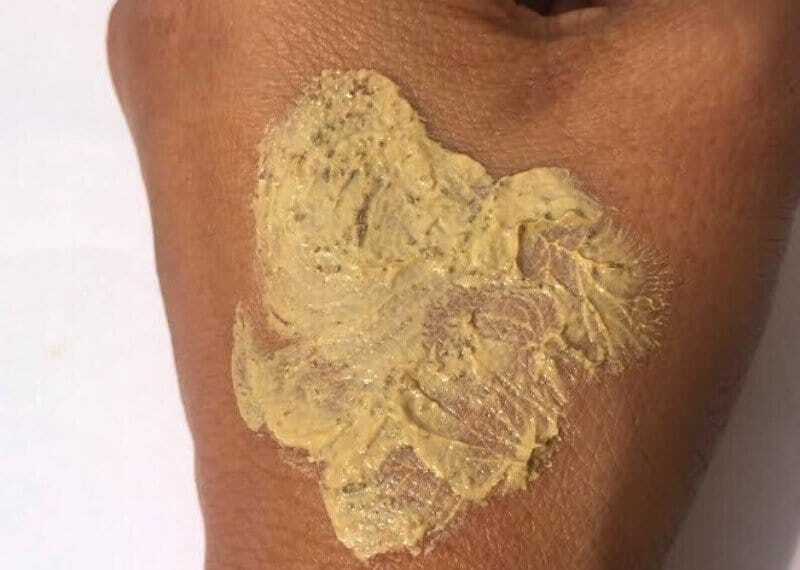 It is creamish like a Multani mitti pack. This face scrub is ideal for oily skin as it has a thick creamy base. You can’t really smell papaya in the scrub, it smells more like Multani mitti. The texture is coarser than other scrubs as the particles used in it are coarse. Wet your face when you apply this scrub as it is quite thick and creamy. It spreads better on wet skin. Due to the coarser texture of the scrub, be gentle when you apply it to your skin. Women with oily skin have a tough time taking care of their skin in winters. While the heavier cream-based products make their skin oilier, the gel-based products make their skin dry. Use of a good scrub becomes essential during these months to keep the skin refreshed. I found this scrub good for my kind of oily skin. However, Fab India should do something to improve the texture of their scrubs. I found this scrub too coarse to be used on the face. I would recommend this product to women with oily skin. However, a word of caution – Please be gentle as this product has a rough texture. Women with sensitive skin should steer clear of this scrub. I can’t decode FabIndia products.. They come with higher price tag now but at the same time they use lots of chemicals in every product though they claim to be on the ayurvedic side.